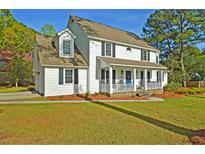 Below you can view all the homes for sale in the Ashborough subdivision located in Summerville South Carolina. Listings in Ashborough are updated daily from data we receive from the Charleston multiple listing service. To learn more about any of these homes or to receive custom notifications when a new property is listed for sale in Ashborough, give us a call at 843-806-0616. This room is open to the family MLS#19010722. Carolina One Real Estate. Recent upgrades include: Updated master bath, 18x13 outbuilding, driveway widened, updated 1/2 bath, new a/c for 2nd floor, hot water heater MLS#19009976. Carolina One Real Estate. There is also a huge sunroom with access to this outdoor living space that has its own heating and cooling unit for year-round enjoyment! MLS#19009948. Keller Williams Realty Charleston. Amenities include volleyball court, clubhouse, tennis court, pool, 2 play- MLS#19000059. Carolina One Real Estate.